The company researched for this blog is known as Uninor. 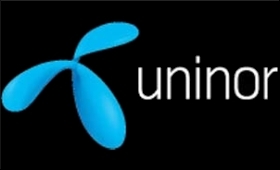 It is a joint venture between Norwegian telecommunications company Telenor and an Indian Real Estate company Unitech. The company was the first in the world to introduce a Dynamic Pricing to mobile call charges. Based traffic experienced by a wireless tower servicing any area a customer can receive discounts ranging from 5% to 60%. This particular service has been very well received in the market with Uninor commanding as many as 106 million subscribers . In 2011 alone Uninor added as many as 2.03 million subscribers. 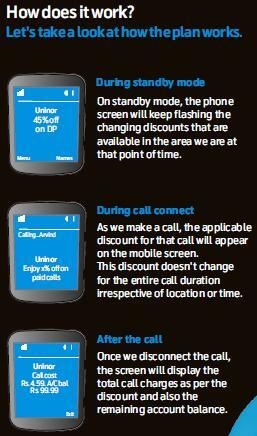 Off the total number of users Uninor currently has 40% of the subscribers under the ‘Dynamic Pricing’ Plan. Now let’s take a look the general parameters that make such an innovative application of revenue management technique possible in the telecommunications industry. The mobile telephone industry is one of the leading industries around the globe. Telecommunication, as an industry that is set to drive growth rates of beating the national GDP growth average. One of the fastest growing markets with intense competition to go along with that is the Indian market. According to the statistics India is the second largest mobile phone market with 903 million users . The industry has shown growth rates of 7-10% over the last decade. Over the last several years many international companies entered the market leading to intense price wars which resulted in some of the lowest call rates in the world . The reducing margins (from 0.25% to 0.08% per call) made the telecommunication industry focus solely on driving volume business. With the advent of more sophisticated competition that charged for call on per second basis rather than the traditional per minute basis. The industry shows the characteristic of fixed yet perishable inventory of wireless bandwidth that make it conducive for revenue management practices. The size of the bandwidth determines how many users the company can enroll. Every additional subscriber beyond the allotted bandwidth requires additional bandwidth (space) on the wireless network. The time that the cellular service providers generally sell is considered in sections of 60 seconds. Although the time, as seen in India, can be defined in as small a section as 1 second. The Industry does not define space implicitly. Although it does not advertise that every subscriber occupies a specific amount of bandwidth of its total capacity. However, the cellular service provider does have a maximum carrying capacity of its subscribers. There is only one standard bandwidth that each customer occupies thus there is little need or scope to define space differently. None the less there is scope to define the time lever is different ways. For example, some organizations may define it as per second while others may choose to define it per minute. The traditional landline service providers sometimes define time in 3 minute slots. This division of time is what is conveyed to the customers thus can conclude that the time component of the service is explicitly defined. I was unable to get any information on the different rate fences actually applied by the company. But here are some of the probable rate/physical fences the company could apply. 1)	Geographical – Based on the Regions that show the slowest growth. Could be a City or a Province. 2)	Contract Plan Fences- Based on the initial value of the contract being purchased. 3)	2G Vs. 3G Services- Based on the data packages bought by the customers. Telecommunication is currently a trending topic and your post is just amazing. This article looks a well-researched piece of writing like “Importance of Essay Writing in a Global Platform“. Reading this was a sheer enjoyment. Also, the infographic helped me a lot. It’s a witty move to include an infographic with blogs. Keep up the good work. Best Wishes. Telecommunication is my field of research and I have a paper submission in some days now. I was studying the blog Importance of Essay Writing in a Global Platform, on that note as well, and found this. Can’t thank you enough for this post. It will acts as a true-blue resource for my paper. So thought of letting you know about this! Collect your leads effortlessly through our innovative lead retrieval solution. It is fast and accurate to generate maximum leads anytime anywhere at the events. The telecommunications industry is growing as the world goes cellular, and we rely on phones to greater extents. All aspects of our lives are impacted by this including how we communicate, shop, get news, and market services to buyers. Digital marketing is becoming the primary way in which businesses market their products and services to consumers, get new leads, and grow their business. Technology continues to transform our lives. Schedule, reschedule, reject or approve invitations send by other profiles in real time through our robust B2B Matchmaking Services. You can set one-on-one or group meetings any time through our business matchmaking app.